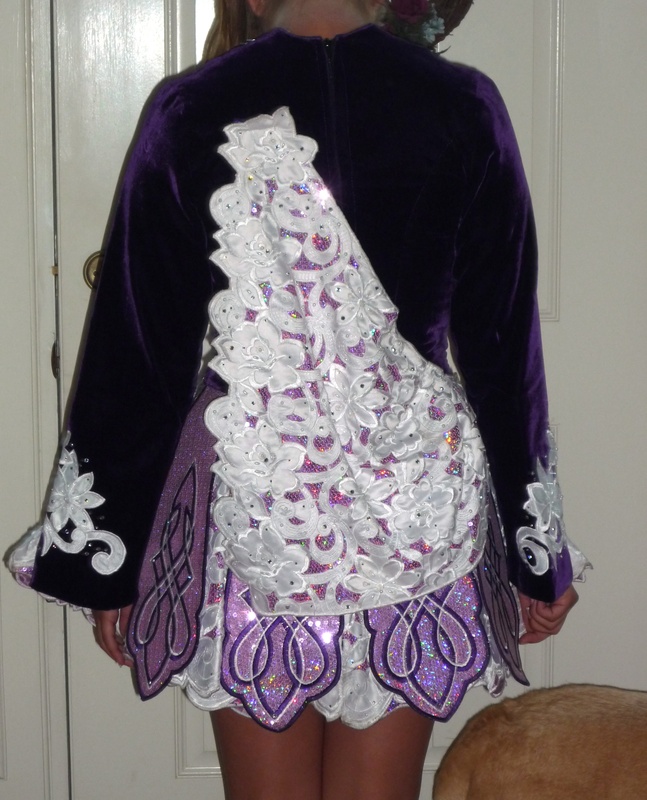 Purple velvet dress with white lace appliquÃ© and a gladiator style skirt. 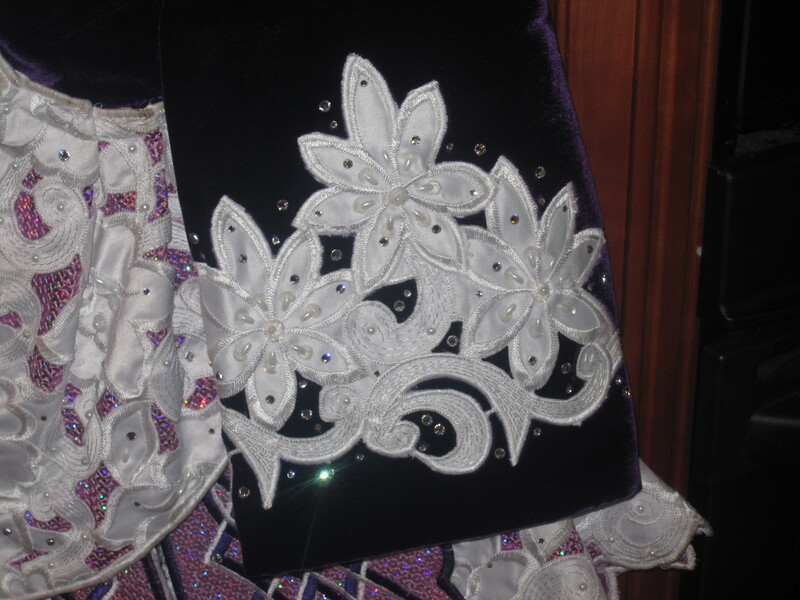 Hundreds of Swarovski crystals added to provide beautiful stage presence. 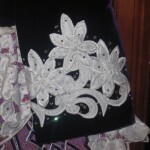 Dress is suitable for novice, prizewinner and preliminary dancers. Bloomers and dress bag are included. Asking Price: $US1200 – will negotiate. Shipping costs not included. Returns are negotiable.